What I desire to write today in response to part 2 of Adamu Adamu’s Hajj and the Saudis (back page column, Daily Trust of Friday, 12 October 2012) has forestalled the publishing of the second part of my PECULIARITIES OF HAJJ in this column. I will revert to that next week insha Allah. I am not a shi’ah adherent but I’ve always enjoyed the fluid prose and compelling exposition of plausible arguments in Adamu Adamu’s articles. Unfortunately, his plausibleness failed him in the write up under discussion. 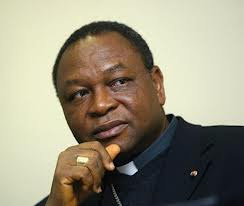 I concur with the writer in what he stated, among other things, in the first part of the article, which appeared in the same paper on 5 October, 2012, where he decried the detention, under appalling condition, and subsequent deportation of Nigerian female pilgrims by Saudi authorities for not travelling with mahrams. 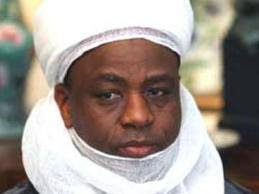 But the writer went out of his way, in the second part, to criticize the Saudis’ management of the Haramayn and demolition of Islamic relics and historical monuments ‘to stop us from committing shirk!’ Well, shirk to Adamu Adamu may be a trifle; in the sight of Allah, it is a great sin, not forgiven one who dies committing it! There is nothing worse than derailing from the way of the prophet (SAW). I, however, like the type of Shi’ism that Adamu Adamu exhibits in his writings, except if he does that in the form of taqiyyah, dissimulation which I fail to divine. For instance, in his attempt to prove how erroneous the Saudis have acted in demolishing Islamic relics, he said: ‘The caliph Umar bin Khattab understood this so well that during his Caliphate he disallowed whoever was in the precinct of the Haram from locking his house during the Hajj. He said the land belonged to the guests of God and they had more right to the houses than those living in them. So who gave the Saudis the right to tamper with and desecrate of the Haramayn along with all the memorabilia of the Holy Prophet [SAW] and his companions?’ Brilliant! This is at variance with the attitude of Shi’ites, who love to calumniate noble companions like Abubakr, Umar, or even the illustrious wife of the Messenger of Allah, Aisha, may Allah be pleased with them. I will return to this later. Adamu Adamu confused the warrant of travelling in the earth and seeing the nature of the consequence of those who came before us, like ‘the Pharaoh’, with the ‘artefacts related to the Holy Prophet [SAW] and Islam…’ Let us even assume that the embalmed and preserved body, laying in the Cairo Museum is indeed that of the son of Ramses ll, mentioned in the Glorious Qur’an, it is regrettable that the writer chose this discordant analogy between the preservation of the remnants of obstinate potentates and ‘the artefacts related to the Holy Prophet [SAW] and Islam…’ The verses that adjure believers to travel and see the end of those who were before us have to do with perverted transgressors. Adamu Adamu would have done better with benign inference. I am not a Saudi apologist. I have had occasions to take strong exception to some of the positions taken by the Saudis and their scholars. I believe that our scholars in Nigeria should be accorded the deference and courtesy that they deserve by the Saudis. 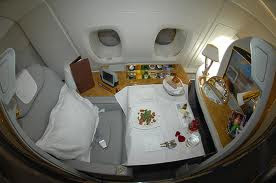 I do not accept all fatwas issued by Saudi scholars, thus I wrote Women Can Perform Hajj without Mahram; I allow my wife to drive within and outside Abuja; positions that are not in agreement with Saudi fatwas. One can disagree with the Saudis on the way they conduct themselves in their relation with the West or how they refuse to use the oil weapon in weakening the Zionist State, etc. but whoever believes in Allah and the Last Day must concede that the Saudis have not failed in their task of administration of the Two Holy Mosques. Those who travel to Makkah and Madinah often can give testimony to the care, maintenance and constant improvement that the Haramayn enjoy under the vigilance of the House of Saud. Of course we know where the complaints are from and where they aim to lead the ignorant. The belief is if you make enough noise after a while you will get listeners. Iran has never made it hidden that it wants to be in control of the Haramayn. The last time they had access to graves of the revered companions was a shame not only to them but to humanity. The Holy Prophet’s Mosque in Madinah will attest to the expansion it has witnessed superintended by the Saudi leadership. You can safely say that the Haram is enhanced by the minute. Wherever you may be the call to prayer reaches you. The carpeting is exact and gorgeous; the gold-plated decorations and state-of-the-art chandeliers are cleaned around the clock. If the mosque is filled with worshippers don’t worry, 182 jumbo umbrellas are installed in the courtyard to guarantee shelter from rain and sun’s heat. 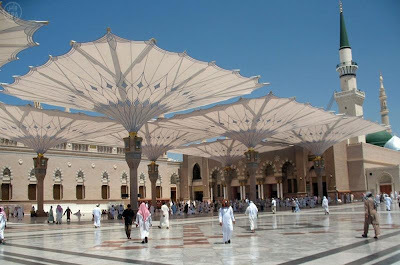 Each of these umbrellas covers about 600 square metres and can accommodate 900 worshippers. Recently, King Abdullah launched a huge expansion project for this mosque expected to be the largest of its kind, which, at completion, will accommodate additional 1.6 million worshippers. If the Saudi government is guilty of anything in this matter, it is going into excess in embellishing the mosques. In Makkah the House of Saud could not be found wanting in its responsibility towards the Mashaa’ir, monuments of Hajj. Tents in Minaa are now fireproof; the mega structure of the Jamaraat Bridge complex, spacious exit route and highly experienced manpower in crowd management have saved lives during the stoning ritual in Hajj; a feat they carry out without firearms. The Mashaa’ir Railway linking Minaa, Arafaat and Muzdalifah is almost complete. Before he launched that of Madinah, King Abdullah has laid the foundation stone for another unprecedented expansion of the Holy Mosque in Makkah which will increase its capacity to more than 2.5 million devotees. This initiative is certain to create more rooms for worshippers around the Mas’aa (the running course between Safaa and Marwah). It will also remove the hardship pilgrims face during tawaaf, and enable them perform their rites in a more relaxed and spiritual environment. The purpose of expansion projects around the Haramayn is not the preservation or demolition of any artefacts; expansions are necessitated by the need to make Hajj and Umrah pilgrimages more comfortable and safer in the face of phenomenal rise in the number of pilgrims annually. So, let this noble course of expansion of the Haramayn persist; let the skyscrapers be built in order to accommodate more pilgrims, and let the blamers continue to criticize the House of Saud for making Las Vegas out of Makkah, provided that will provide a serene, relaxed atmosphere and facilitate the observance of this once-in-a-life-time ritual for the guests of Allah. I am sure that is a lesser crime than standing up and remaining like a statue upon seeing the image of Khomeini or Khamanei or whoever it is they treat like a demigod these days. The image that the visitor to the Ka’bah will have in his mind as he approaches the Holy Mosque is that of an answer to his prayer for entering the precincts of the Ancient House: O Allah increase this House in nobility, honour, dignity and awe! Certainly, the House of Saud has shown utmost reverence to the sacredness and glory of the Haramayn, sparing neither effort nor expense in making the place, by Allah’s grace, what it is today. The title of The Custodian of The Two Holy Mosques, let traducers perish in their rage, fits perfectly King Abdullah Ibn Abdullaziz Aal Saud; he and those among this household who came before him and those that will come after him if they do what he did. 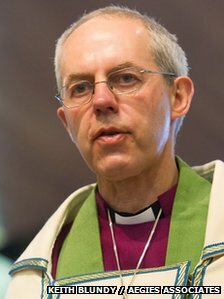 If this care and service is what Adamu Adamu referred to as Wahabism; if printing of billions of copies of the Glorious Qur’an for free distribution around the world is Wahabism; and if Wahabism means exerting all within one’s power for the service of the guests of Allah, then I am one of them. Open the windows let the world hear: I am Wahabi. And so what! I’d rather be a Wahabi than desecrate the message of Islam with Shi’ism. Adamu Adamu contended that the Saudis love to ‘preserve aspects of the past that they deem important and worthy of preserving: it is just the remembrance and legacy of the Holy Prophet [SAW] that they wish to destroy.’ That is why, he said, they are opposed ‘to celebrating Maulud al-Nabi’, but ‘they always eagerly celebrate their so-called National Day. Ask them: which of the Salaf celebrated national days?’ Shall we then reverse the question and ask the writer: which of the Salaf (righteous predecessors) celebrated Maulud (the Prophet’s birthday)? The writer should have continued with this line of argument with authentic traditions, if there are any, on the instruction of the Prophet (SAW) concerning Maulud celebrations, or the examples of the Four Rightly Guided Caliphs on Maulud, and the generation that came after them, on how they celebrated Maulud. If he cannot, and of a surety he cannot provide such instruction from the Prophet (SAW), and such example from the Rightly Guided Caliphs, and the generation that came after them, let him then call to mind the words of Imam Malik Ibn Anas, the Imam of Madinah (may Allah be merciful to him), "The last generations of this Ummah (nation) will not succeed except when they resort to what made the former followers succeed." He meant that what brought success to the first generation was adherence to the Qur'an and the Sunnah of the Messenger of Allah (peace be upon him), following their rules and avoiding what contradicts them. The last generations of this Ummah will not succeed unless they resort to what made the former generations succeed. Preservation of ‘Arabia’s pre-Islamic past’ by ‘erecting museums’ like ‘Darat al-Malik Abd al-Aziz in Riyadh’ has no religious consequence attached to it. Visitors to such museums are not doing that seeking Allah’s countenance or with hope of getting reward for any ritual. There is no difference between the visitors in Riyadh museum and those of Cairo museum for example. They are all tourists seeking pleasure in sightseeing of past relics. But ‘legacy of the Holy Prophet [SAW]’ that Adamu Adamu refered to: ‘the blessed house where the Holy Prophet [SAW] was born’, the ‘graveyard of Amina, the Blessed, mother of the Messenger [SAW]’, the ‘House of Khadijah, the Glorious,’ and so on and so forth; visitors to such places are not the same as visitors to Cairo or Riyadh museums. Such places will be visited as a form of ‘ibaadah that draws visitors to Allah; the ignorant among the people are sure to exceed Allah’s limits in such monuments leading to Shirk (associating others with Allah in His Divinity or worship). The same ‘caliph Umar bin Khattab’ that Adamu Adamu quoted in the second part of his series, was authentically reported to have condemned visiting the monuments of the Prophets, and sanctioned that the tree under which the Bay`ah of Al-Hudaybiyah took place be cut off, when reports reached him that people where visiting the spot. The reason was he knew people have a tendency to turn mere objects and persons into objects of veneration and worship. You only need to see the Shiites and the way they revere their so-called Ayatollahs. Yes, that was an act aimed at protecting people’s Tauheed and precluding ways that could lead to Shirk. Umar (peace be upon him) did that, even before the Saudis. The question we need to ask is how would the preservation or otherwise of the places mentioned in Adamu Adamus’s piece affect the performance of Hajj? 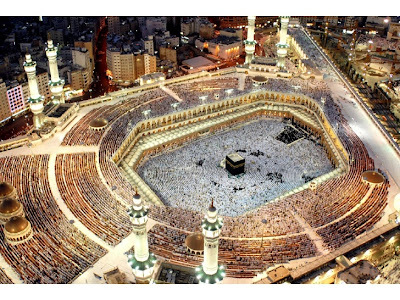 Are these historical monuments part of the mashaa’ir of Hajj? Imam Malik and other scholars of Al-Madinah hated going to the Masjids and Islamic monuments in Al-Madinah except Qubaa and Uhud. Sufyaan Ath Thawree entered Al-Aqsa Mosque and offered Salah there, but he did not inquire about those monuments or offer Salah there; and others who imitated him did the same. Ibn Waddah then said, 'How many matters are now considered acceptable by many people that were once considered Munkar. People try to get closer to Allah through means that drive them further from Allah.'" He also said on p. 144 of the same section, "As for visiting the Masjids that were built in Makkah other than Al-Masjid Al-Haram (the Sacred Mosque in Makkah), such as the one by the foot of Al-Safa, the one by the foot of Abu Qubays, and such Masjids that were built at the sites of the Prophet (peace be upon him) and his Sahabah, such as Masjid Al-Mawlid (the Prophet's birthday) and others, it is neither a Sunnah to visit these places, nor was it preferable by any of the Imams. 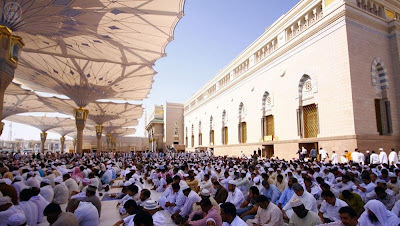 It is only permissible to visit Al-Masjid Al-Haram in particular, and the sacred ritual places, such as `Arafah, Muzdalifah, Minaa, Al-Safa and Al-Marwah. However, visiting the mountains and areas around Makkah other than `Arafah, Muzdalifah and Mina, such as Hira' Mountain, the mountain at Minaa where it is claimed that there was the sacrifice dome and such places; it is not a Sunnah related to the Messenger of Allah (peace be upon him), but rather a Bid`ah. The same applies to the Masjids built at the sites said to be monuments. The Prophet (peace be upon him) did not permit visiting any of these." In vol. 27, p. 134, of the same book, he also said, "Some people might ask whether it is permissible to glorify a place where there is worn-out things and saffron as the Prophet (peace be upon him) was seen there. Glorification of such places and turning them into Masjids is an imitation of the People of the Book whom we are prohibited to imitate. It was authentically reported that `Umar ibn Al-Khattab (may Allah be pleased with him) was traveling when he saw a group of people hurrying to a place. He asked, 'What is this?' The people replied, 'It is a place where the Prophet (peace be upon him) offered Salah.' He said, 'Do you want to turn the sites of your prophet into Masjids? 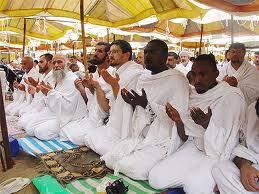 If the time of Salah comes while a person is there, they can offer Salah there; otherwise they should leave.' `Umar said this in the presence of a number of Sahabah (may Allah be pleased with them). It is known that the Prophet (peace be upon him) used to offer Salah in many places while traveling, and the people would see him in their sleep in different places. However, the Salaf did not turn any of these into Masjids or tourist sites. If this door is opened, many of the Muslim lands will be turned into Masjids and tourist sites, as people still dream that the Prophet (PBUH) visits them at home. Establishing such tourist sites is a loathed Bid`ah. Allah has not ordered that the places of prophets be turned into a Musalla (a place for Prayer) except Maqaam Ibrahim (the Station of Ibrahim) in His statement, “And take you (people) the Maqaam (place) of Ibraheem (Abraham) [or the stone on which Ibraheem (Abraham) عليه السلام stood while he was building the Ka‘bah] as a place of prayer” (for some of your prayers, e.g. Two Rak‘at after the Tawâf of the Ka‘bah at Makkah) He has neither ordered that a stone be touched and kissed except Al-Hajar Al-Aswad (the Black Stone in a corner of the Ka`bah), or Salah be directed to a building other than Al-Bayt-ul-Haram (the Sacred House, another name for the Ka`bah). According to the Ijma` (consensus) of the Muslims, it is impermissible to make analogies in this matter. It is tantamount to asking the people to perform Hajj to a place other than Al-Bayt-ul-`Ateeq or observe Sawm (fasting) in a month other than Ramadan, and so on." 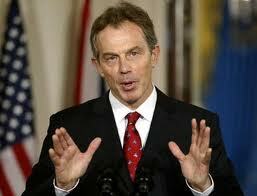 He then said, "The rest of the issues have been definitely answered. If a person offers Salah or recites Du`a' (supplication) intentionally at the place of a prophet's footprints or site; the grave of a Sahaby (Companion of the Prophet), a sheikh, or one of Ahl-ul-Bayt (members of the Prophet's immediate Muslim family), a tower or a cave, this is a rejected Bid`ah in Islam, as neither the Messenger of Allah (peace be upon him) nor the early generation of Muslims or those who followed them in righteousness did so. Not one of the Muslim Imams preferred it; rather, it is a means leading to Shirk." 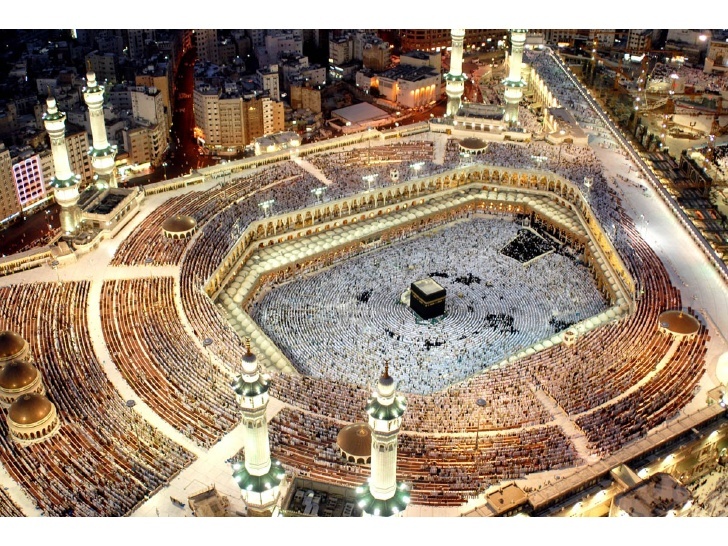 In his third and final part of Hajj and the Saudis, Adamu Adamu made allusion to the Saudis desecrating the Haramayn by way of mismanagement of the Hajj itself, and by their dependence on ‘the oppressive and transgressing centres of unbelief and global kufr.’ He quoted verses 1-3 of At-Taubah to show that Allah is free from obligation of any treaty entered with those who practice Shirk. Yes, but the writer should know that dissolution of treaty with idolaters is not restricted to severing of fraternity with ‘global kufr’, or with idol votaries; it also covers those modern practitioners of shirk who place the created on the same level with the Creator. This is the subject addressed by Sheikh Muhammad Ibn Abdul Wahhab in his Kitaabut Tauheed, a highly authentic book on Monotheism, guiding millions of people throughout the world, removing them out of the darkness of shirk, heresy and the worship of human beings to the service of Allah alone without associating partners unto Him. In this book, all the relevant Verses have been discussed reasonably, rationally and sincerely; and the essence of the Qur'an and Sunnah is placed in a very simple and appealing manner. This is the reason that the upright persons, beyond group ism and prejudices, have been adopting the correct Islamic path - the path of the Qur'an and Sunnah - under the influence of the basic facts and proofs produced herein. From the surname of the author of this masterpiece, people like Adamu Adamu christened those who recognise the teachings contained in Kitaabut Tauheed as Wahabis. Interestingly, there is no movement, organisation or even a mosque anywhere in the world, even here in Saudi Arabia from where I’m writing this piece, known as Wahabism, Wahabi association or masjid. 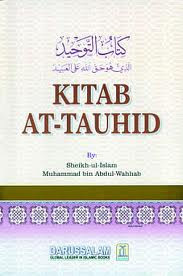 But volumes are written on the subject because of Kitaabut Tauheed and its author Sheikh Muhammad Ibn Abdul Wahhab. I invite readers of this piece to take a survey of their library of Islamic collections – these books you bought from Saudi Arabia during your Umrah, Hajj or when you travelled for business or holiday around the world – tittles like Salvation Through Repentance, Ways Of Gaining Provision From Allah, The Goodly Word – Al Kalim al Tayyib, Selected Friday Sermons, Provisions for the Hereafter (Zaad Al-Ma’ad), and thousand other tittles authored by respected Muslim scholars like Dr Abu Ameenah Bilal Philips, Hamza Yusuf, Ibn Qayyim, etc. published by Darusalam Publications (with branches in Australia, Bangladesh, Canada, France, Kuwait, India, Malaysia, Pakistan, Saudi Arabia, Singapore, South Africa, Sri Lanka, UAE, UK and USA), International Islamic Publishing House, USA and Saudia Arabia, are all influenced by the teachings of Ibn Abdul Wahhab and Ibn Taymiyyah. These titles and what they contain of making religion pure for Allah only, without shirk is what Adamu Adamu referred to as ‘parrot-fashion repetition of its schismatic Taymiyyah trichotomy.’ But contrary to Adamu Adamu’s averments Tauheed of the Salaf is an epitome of scholarship in the field; it does not cause schism among the ranks of Muslims, and it does not ignite ‘Muslim-Christian animosity’. We are always looking for ways to foster Muslim-Christian mutual respect and harmony as dictated by the Qur’an and Sunnah of the Prophet (SAW). Only that the writer did not tell us at what point will this grand meeting be possible. Is it on our way to Minaa, at the rush hour of the flood of pilgrims to their various tents? Is this conference going to hold as we are preparing to go to Arafah? 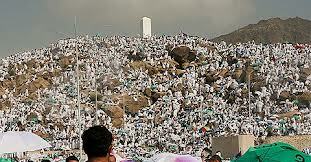 Will this conference be convened during the peak of the Hajj itself, the standing at Arafah? What time can the pilgrims spare for any meeting during the transit at Muzdalifah? And the 10th day of Zulhijjah when the pilgrims are supposed to slaughter their animals, to shave their heads, to throw their pebbles at the Jamaraat and to go round the Ka’bah; at what time will this ‘representative Supreme Assembly of the world’s two billion Muslims’ hold its plenary? Adamu Adamu is either oblivious of the challenges inherent in Hajj activities or has not performed the ritual for a very, very long time, hence this unfounded lamentation for Muslims not utilising their stay in Minaa for a conference on their problems. The convergence of more than 3 million pilgrims for Hajj, moving most of the time in one direction and trying to do the same thing at the time, with the attendant confusion in such multitudinous movements from a set of activities to another, the proposition of any conference outside the main duties of the pilgrimage is totally inconceivable! From the time of the first proclamation to the pilgrimage, Muslims have always gone to Hajj with an agenda, and got things of benefit to them. They will continue to do so until Allah inherits the earth and what it contains. Their agenda and the benefit they get from their Hajj are not in the form of mudhaaharaat (demonstrations), hand-clapping and shouting slogans during Hajj as Shi’ah pilgrims from Iran and their confederates were doing in times gone by until the Saudi Hajj authorities put a stop to it. No, Muslims are aware that there should be no obscenity, wrangling or angry conversation in Hajj (Al-Baqarah, 2:197), so demonstrations are not part of their agenda or benefit of their Hajj. The first on the agenda is to earn the pleasure of their Maker, so that their sins will be forgiven them. They approach the Haramayn for prayers to get thousands of recompense that they cannot get elsewhere. They interact with other Muslims, asking about and discussing their problems with a view to learning from each other and proffering solutions to the challenges facing the Ummah; the agenda for such discussions covers worldly benefits, also, in the area of trade, business and other lawful earnings (Al-Baqarah, 2:198). This they do at every point they happen to come into contact with pilgrims from other countries in places of their accommodation, in the restaurant, in the Haram or even at the airport. The benefit of Hajj moves with them even when they trek all the way from Minaa to Arafah, Muzdalifah and during circumambulation of the Ka’bah, burning fat, protecting themselves from heart ailments, cholesterol, high blood pressure and obesity. 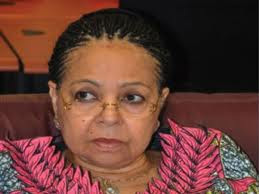 They do not wait for Adamu Adamu’s colossal pilgrims’ conference before they get things of benefit to them during Hajj. And this inculpatory remarks against the Saudis, who were, according to the writer, ‘in the habit of burying the meat of the sacrificial animals’, is a blatant untruth! 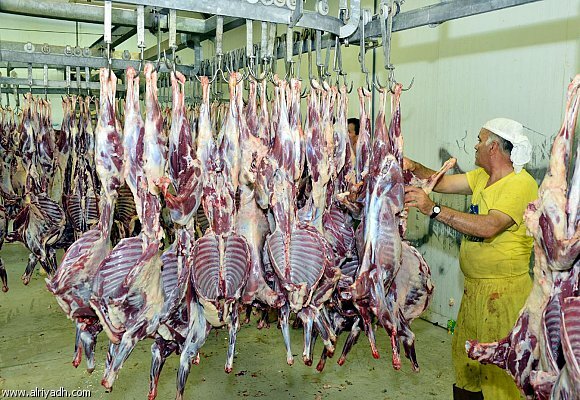 One only needs to go to the mizarah, slaughterhouse in Makkah and see how the poor among the people of Makkah are waiting to receive the sacrificial animals, even though the authorities are putting some restrictions on this for the purposes of environmental protection and health reasons. Petrol-affluence came to Saudi Arabia only but yesterday; the country had witnessed lean years in which a greater part of its sustenance depended on the provisions brought by the guests of Allah and the meat of the sacrifice they offered during Hajj. Saudi authorities have not forgotten this hard page of their nationhood, and as Muslims they know Islam’s instructions on wastage. 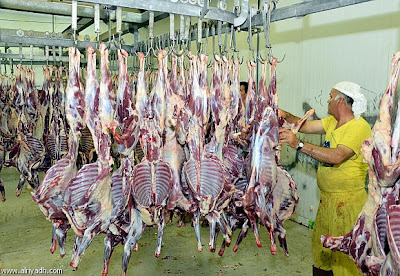 Thus, they ensure proper utilization of the meat of Hajj animals through a series of operations that include packaging, chilling, freezing, storage and freighting in order to keep this sacrificial meat fit for human consumption until it reaches eligible beneficiaries within Saudi Arabia and more than 24 other poor nations. Saudis do not kill and bury Hajj sacrificial animals! 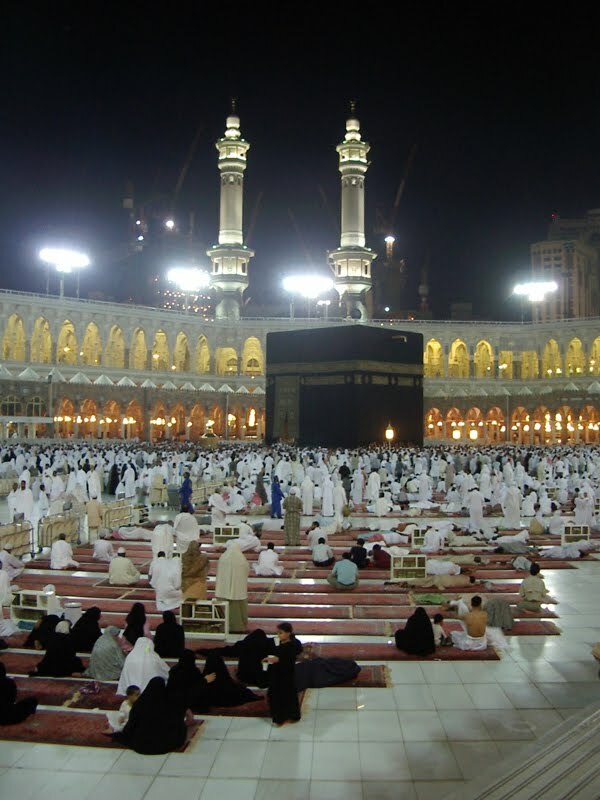 Unfamiliarity with Hajj operations presented as informed opinion, unfortunately, by a writer whose calling is devoid of correlation with pilgrims’ accommodation during Hajj or Umrah. Pilgrims are neither ‘forced to pay accommodation fees in advance’ nor are they required to do so directly with any hotel or apartment. 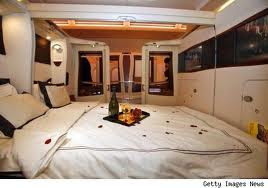 The Saudi Hajj authorities deal with their counterparts from other countries in matters of accommodation and other logistics for pilgrims; individual arrangements are not encouraged in Hajj. In Nigeria for example the state pilgrim boards and agencies act on behalf of our pilgrims, just as private Hajj operators do so for those hajjis who desire higher standard of services. A pilgrim must belong to a group, state owned or private, for easy coordination and monitoring by Hajj Ministry officials, of standard of service rendered to pilgrims. Hajj visas are issued only to groups, barring gratis, Mujaamalah visa given as diplomatic concession to government officials, and oftentimes to those who can pay. Individual pilgrims ‘who have alternatives’ are part of the problems Hajj authorities are trying to solve by blockading their source of visa, as witnessed this year. Many of those who wanted to be on Hajj on their individual arrangement could not make it because very few Mujaamalah visas were issued by the Saudi embassy. Most of them do not ‘have alternatives’ other than squatting with, and overstretching the facilities provided for pilgrims on group arrangement. Hajj payments must be made early in order for state pilgrim boards/agencies and group organisers to sign contracts with other service providers in Saudi Arabia. It has nothing to do with Adamu Adamu’s assertion of the Saudi government forcing pilgrims ‘to pay accommodation fees in advance’. Nigerian Hajj authorities have always encouraged early payments by intending pilgrims to ensure efficient and speedy completion of logistics on the Saudi side, which is not restricted to accommodation. As soon as pilgrims return for this year’s Hajj every organised group, governmental or private, springs into action to perfect strategies for new payments and arrangements for next year’s operation. 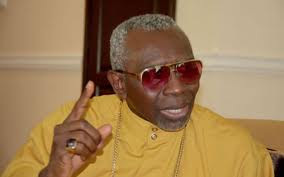 That is the modus operandi of Hajj processes; it is not ‘the only way the hotels and apartment blocks of members of the royal family and their friends will get patronage’…, as Adamu Adamu claimed. Ownership of hotels and apartments is not the exclusive preserve of members of the royal family. 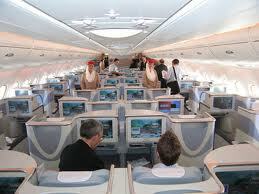 Adamu Adamu said the Saudis ‘have turned the Hajj into a business enterprise’. Allah has not forbidden business in Hajj (Al-Baqarah, 2:198). The pilgrimage season has been, and will continue to be, the backbone of commercial activities in Makkah, from the time of ignorance through the advent of Islam, until the end of the world. The Hajj period is important to the inhabitants of Makkah who rely heavily on it in terms of increased financial activity in the areas of real estate, industry, trade, and the hospitality industry. Hajj makes many Makkan families generate their annual income. There are shop owners who open only during the Hajj, and close after it because they have made enough money to sustain them for the whole year. Hajj creates jobs for a lot of people: students, the unemployed and even those who are employed but take their leave during Hajj in order to earn extra income. 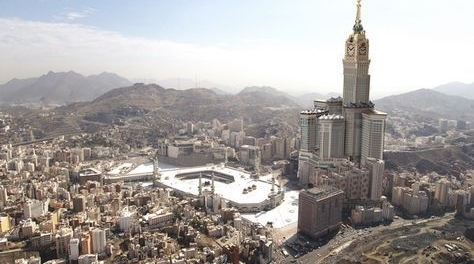 Islamic organisations invest in Hajj by building hotels in Makkah, especially now that America, under the pretext of the war on terror, has succeeded in stalling the movement of cash from donors to Muslim associations. Islamic organisations use returns from such Makkan investments to finance social programmes in favour of the poor, needy and distressed people around the world. Such funds also enable them to go into Waqf (endowment) projects in the area of relief and humanitarian services – to build and maintain mosques; for the education, sponsoring and rehabilitation of hundreds of thousands of orphans around the world. They also take care of students and Muslim preachers in thousands of Islamic centres around the world. 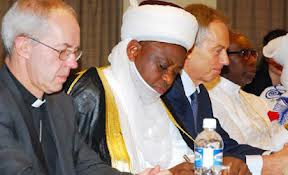 These are not Adamu Adamu’s ‘preachers who get petrodollars in order to keep quiet and those who keep quiet in order to get petrodollars.’ No; they are people receiving whatever these Muslim bodies are able to send, despite America’s blockade to blight the light of Islam, to assist them in da’wah. They are the opposite of those other preachers and modern intellectuals who receive petrodollars from Iran in order to confound the truth! The five star Makkah based Le Meridien Towers project provided club reservations and owner services in religious tourism. The property offered pilgrims and visitors to Makkah a chance to buy a deed of partial ownership in a range of apartments, varying from studios to one bedroom and two bedroom units. Many Nigerians have invested in this project. Or are these Nigerian investors members of the Saudi royal family? There is also the Saudi government’s King Abdulaziz Endowment project waqf ownership of apartment which embodies the Zam Zam Tower Complex adjacent to the Ka’bah. It enables Muslims all over the world to own apartments on a long-term leasing programme. This page will not contain the names of Nigerians who have invested in this project, as well as those of investors from Malaysia, Brunei, etc. Adamu Adamu’s accusations then that these buildings are only ‘hotels and apartment blocks of members of the royal family’ are baseless! This religious endowment is regulated by Islamic Law and was established for the purpose of raising revenue to finance maintenance and the enhancement of the Grand Mosque in Makkah and the Prophets Mosque in Madinah. I share Adamu Adamu’s sentiments ‘that returning Nigerian female pilgrims will not help Saudi management of the Hajj.’ But I am strongly averse to his call for ‘return of the Haramayn—what remains of them—to world Muslims…’ No, as that is another name for Iran which has for ever yearned for the control of the Haramayn. During Hajj 2008, large number of Iranian pilgrims overpowered the guards at, and entered, Al-Baqee’ graveyard, close to the Prophet’s Mosque in Madinah where they desecrated and even urinated on a grave identified as that of Aishah, (may Allah be pleased with her), the wife of the Messenger of Allah (SAW). It took the Saudi security forces some time before they were able to disperse this riotous crowd; one person died and scores injured. Is this the ‘world Muslims’ management that Adamu Adamu is advocating? Adamu Adamu concluded his series by saying that it is only when the Haramayn return under the control of ‘world Muslims’….‘will pilgrims begin to witness that which is of benefit to them.’ This betrays ignorance of the import of verses 27 and 28 of Suratul Hajj as stated earlier. He then connected this to a ‘comprehensive facility management of the Haramayn, effective sign posting and efficient human traffic management and effective vehicle traffic control; and, above all, hospitality to the guests of Allah and an environment that is conducive for what they are there to do…’ This is exactly what the Saudis have been doing efficiently – every pilgrim to the Haramayn can vouch for this. It is meaningless to advocate the establishment of what is already in existence.